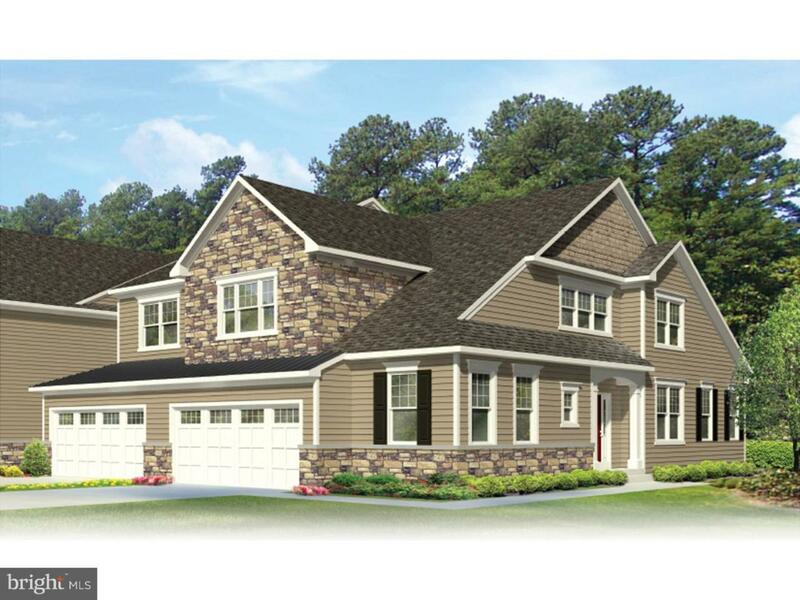 The "Avignon" is the premier floorplan featuring an Owner's Bedroom Suite on the first floor in Enclave at Ridgewood by Rouse Chamberlin Homes. Step into the elegance of the Avignon's Classic Carriage Style and surround yourself with the many conveniences of main floor living. The popular open concept design boasts 9 foot ceilings, a two car garage, and a full basement. The Avignon is limited to the few remaining End Locations in the new community for all ages, so don't delay your decision to right size your lifestyle this year. We'll help you personalize your new Avignon home at our exclusive design center to make it uniquely your own. You'll love the many light filled extra windows that enhance the cheery main living space of the Avignon. The open Kitchen with Island opens up to the bright Great Room for daily comfort. The Owner's Suite feels like a private wing with two walk in closets, a private bath and a separate first floor Laundry Room. A Den/Study on the first floor makes a practical retreat. The second floor can accommodate a full roost of guests made to feel right at home in two enormous bedrooms connected to an open Loft gathering/sitting space. The second floor Bathroom has a double vanity and linen closet. Additional storage can be added to the second floor. Enclave at Ridgewood is set up for you to take advantage of an easy come and go lifestyle where grounds keeping and snow removal are provided. Stay fit just 2 minutes away at the Spring Valley YMCA offering enriching "clubhouse" programs, or an invigorating swim any day of the year! Mega town centers are great places to shop, but life at home is meant for peaceful room to roam. Enclave at Ridgewood borders over 88 acres of township open space, future parks, and walking trails, yet is perfectly located just 1.8 miles from Route 422 at Royersford, only minutes from every shopping need from Collegeville to Limerick. Explore the quiet side of Upper Providence and discover a community of character and distinction brought to life by Rouse Chamberlin Homes, your local award winning builder for nearly 40 years. The community sales model at 3 Aubrey is open Thursday through Monday from 11am to 5pm, or by appointment. Visit today!